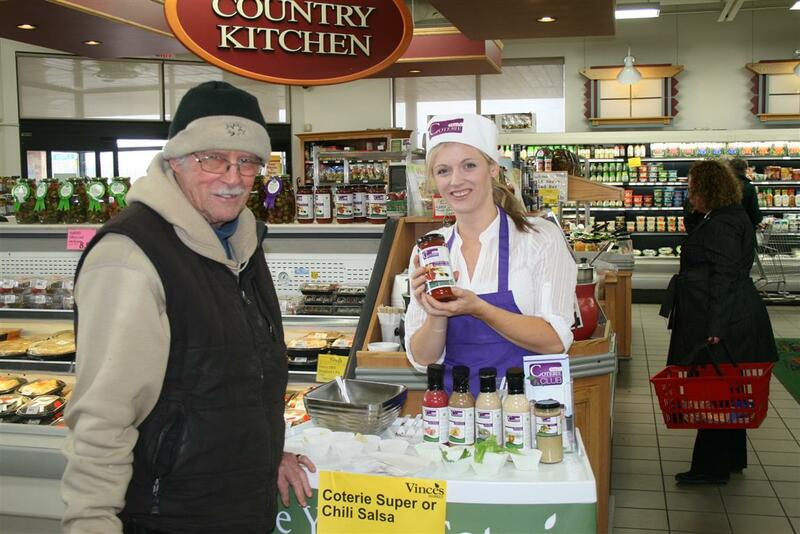 Using Marketing and Promotions to Increase Awareness and Sales for “Go Natural” Coterie Products – from Vince’s Markets. If you were hustling through Union Station this past Mon., Mar. 18, it would have been impossible to miss our team of high energy brand ambassadors dressed like basketball stars. 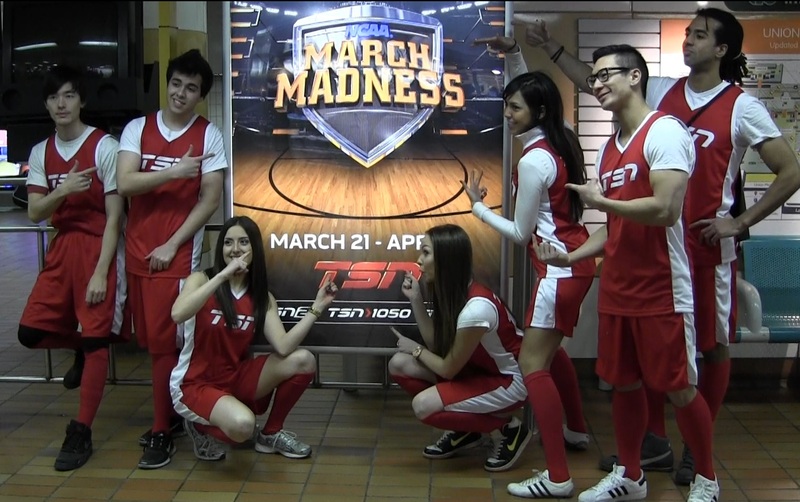 Our team assisted with the launch of a “March Madness” promotion for TSN – an interactive marketing campaign to promote National Bracket Day for the NCAA. Dressed as passionate players in red and white uniforms, the Tigris team helped cure the m0rning blues one commuter at a time by handing out stress balls disguised as mini-basketballs. After just 1 hour and 15 minutes, our brand ambassadors had successfully handed out 15,000 mini basketballs breaking our own record for last years EURO Cup launch for TSN handing out the same volume – 15,000 “tickets” – in two hours. An annual rite of Spring, the NCAA basketball tournament has become one of the most prominent sporting events on the calendar. 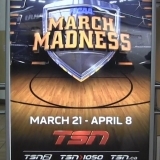 Coverage of the tournament began Thursday March 21 with all‐day coverage on TSN and TSN2. 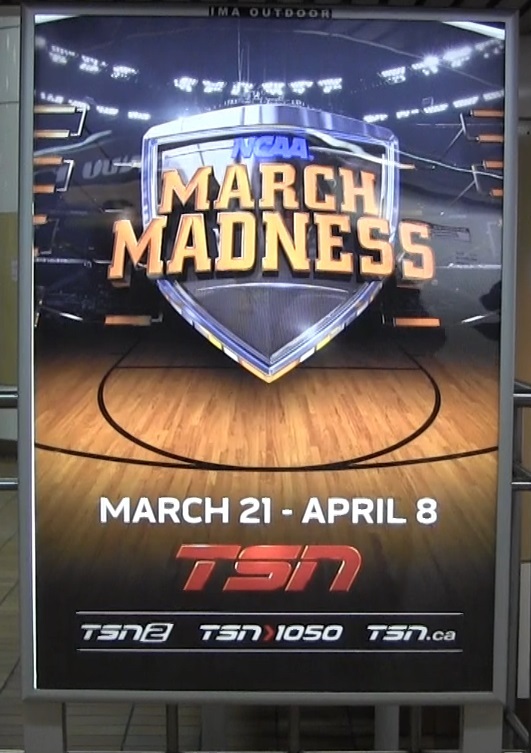 Research has proven those completing a “bracket” are significantly more likely to tune‐in to NCAA March Maness broadcasts on TSN, making this interactive event marketing campaign an important one! Whether diehard fans make their bracket picks using statistical data, or casual fans make their picks based on the team logos or their favorite colours, TSN has a bracket for everyone. The winner of the 2013 Men’s Tournament Challenge gets a chance at a $10,000 cash prize. Not a bad return for a few weeks of heart-racing finishes and buzzer beaters! The purpose of this interactive marketing program was to encourage individuals to fill out their brackets for the NCAA Men’s Basketball Championships featuring the top 68 college basketball teams. For those of you who aren’t familiar with Brackets……. There are 6 rounds to the NCAA tournament, for each correct winner picked, a player is awarded points based on what round the winner is picked in. The points per round increase as the tournament progresses. The chart below shows possible scoring by round systems, if you read further down the page we explain which system we think works best. The image below links to our Fillable March Madness Bracket which allows you to completely customize your bracket before printing. This includes filling in the points per round, giving your bracket a title, and typing in any notes/rules you want the participants of your pool to know. If you’re looking for brand ambassadors to get some buzz for your business – Tigris is here to help! Call us at 416.283.9119 for a free no-obligation quote. Tigris’ Brand Ambassadors are available at top locations including Calgary, AB; Vancouver, BC; Toronto, ON. Implement an interactive marketing campaign for your company today!